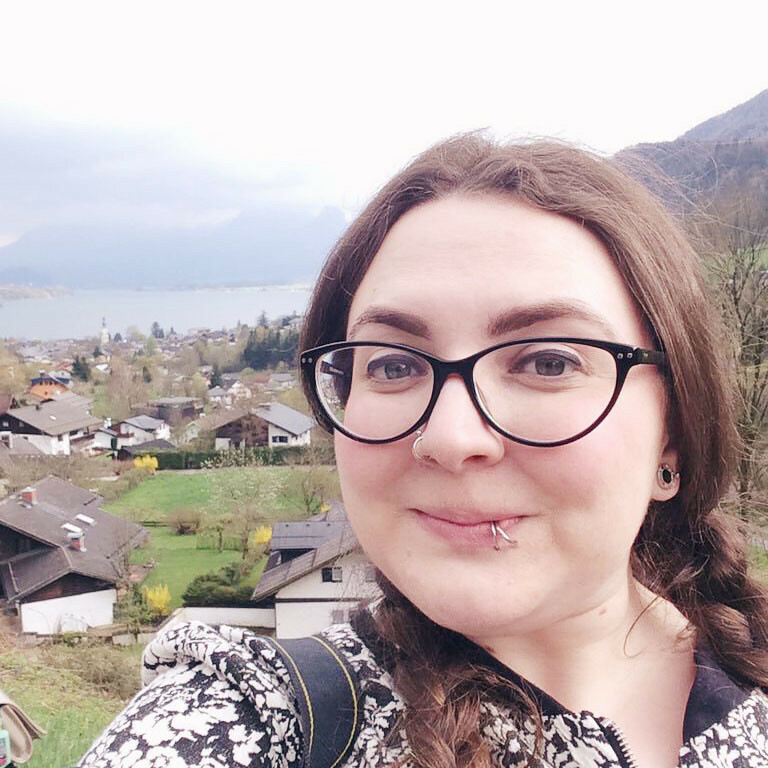 If you've been reading this blog for... ooh... all of ten minutes, you'll know that I love anything cute and colourful so Super Cute Box- a monthly subscription box of the cutest items around- seemed right up my street. I was very kindly offered a box for review and couldn't wait to find out what was inside! 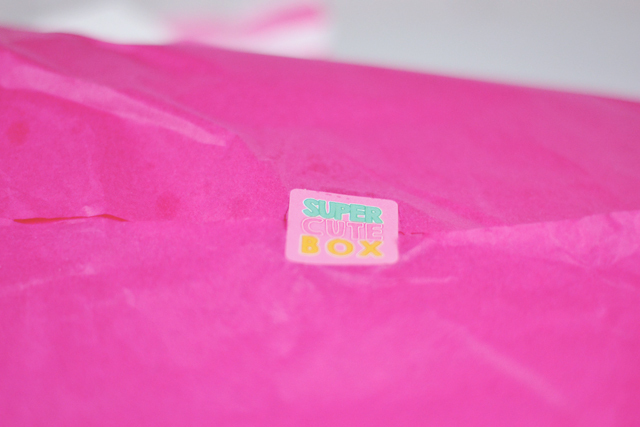 The first thing I noticed was that, contrary to the name, Super Cute Box doesn't actually come in a box. Instead it's wrapped in tissue paper and delivered in an envelope. This isn't something that bothered me at all but is perhaps something to be aware of. 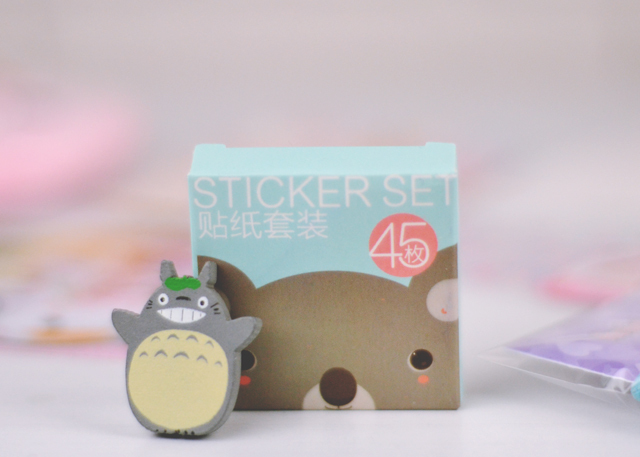 As the name would suggest, the items inside really are super cute. These koala stickers have gone straight into my work bag as special treats for the kids, although I am struggling with the desire to keep them for myself! 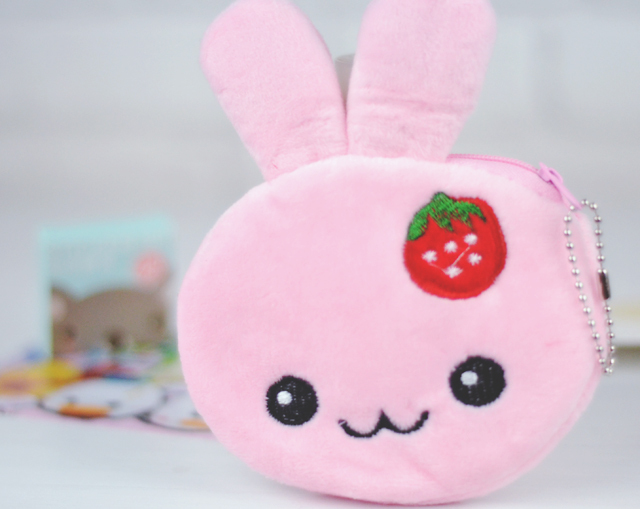 You can't have cute without a plush and this fluffy bunny purse is perfect! 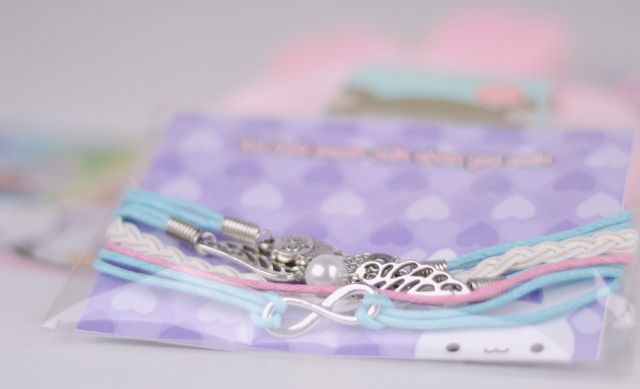 As well as the stationery, Super Cute Box included two pieces of jewellery- a kawaii necklace and this adorable bracelet set which includes little owl charms and a snitch-esque pearl design. 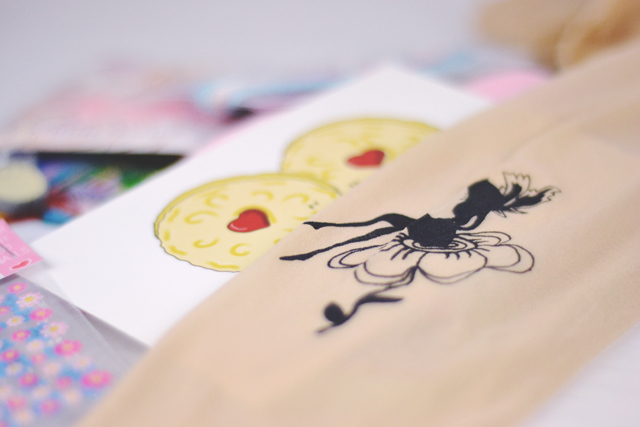 One of my favourite items is this fairy-print pair of tights. Unfortunately there's no way they'll ever fit me, of course, but they are super pretty. 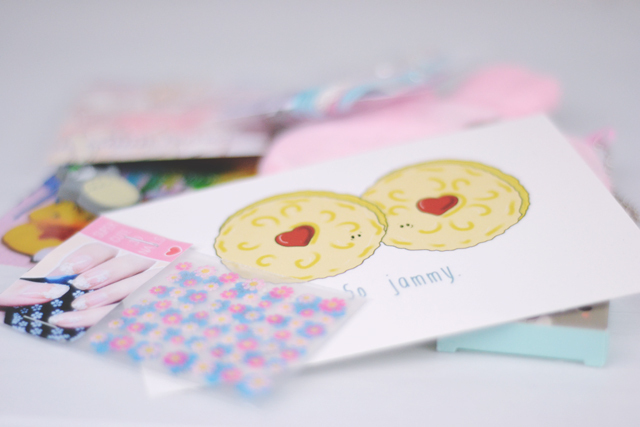 Finally, the box is rounded up with this sweet Jammie Dodger postcard and floral nail stickers. My Super Cute Box contained 8 items which is on the lower side as the site promises 8- 12 items each month. Subscriptions start at £15 a month, or £18 for a one-off trial box, and are available here. This looks like a great box and super cute. I'm obsessed with the idea of subscription boxes and its probably a good thing that I don't have the money to spend on them! Totoro! This 'box' looks like a good 'un! Surprised it doesn't actually come in a box though aha. I really need to try more of these but I'm always worried they won't be worth it. THEEEE cutest little box ever! Those koala stickies are my personal favourite. It's so dangerous for me discovering more and more kinds of subscription boxes... helllooooo poverty!